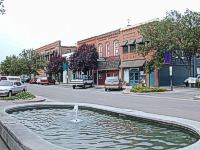 With 81,577 residents, Nampa is the second largest city in Idaho. About twenty minutes from Boise, much of Nampa’s growth is due to Boise commuters seeking lower housing prices, less congestion and pollution, and a slower pace. 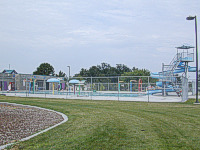 This family-oriented community provides all that and more. Shopping and entertainment opportunities abound, from Karcher Mall to the west to the many antique shops and cafés in the heart of downtown. 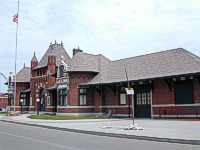 The train depot built in 1903 and regarded as Idaho’s outstanding example of Baroque revival architecture, now houses the Canyon County Historical Museum. Lovely gardens graced with forsythia and lilac in the spring, colorful, vibrant roses and white blossom-bedecked catalpas in summer abound in the quiet downtown residential streets. Housing developments that have sprung up where Native Americans once lived along the banks of Indian Creek are interspersed with green pastures where cattle and horses graze.